In an initiative to foster and enable student talent and visibility, so as to enable all round Personality Development encompassing humour, creativity, writing, acting, dialogue delivery, speech modulation and choreography, IAAN has come up with an excellent platform ‘AKS’ - a Theatre Group. 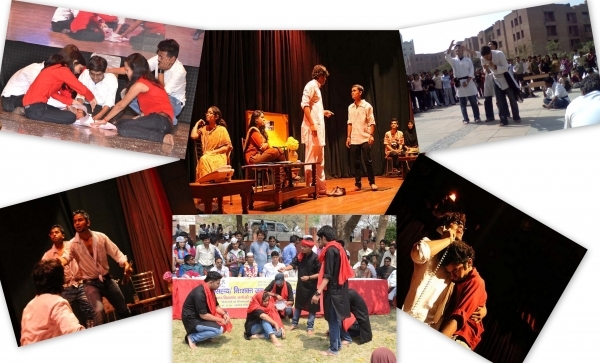 Since its inception, AKS Theatre has won many accolades and awards at the prestigious forums of Lady Shri Ram College Delhi University, New Delhi’s Kshitij Theatre Group, Hindustan Times, Gandi Samiti, Darshan Samiti, JIMS, VIPS, etc. Its popularity and outreach is thriving in a dynamic environment, bennefitting our students the most as their visibility and talent is recognized across the Media Industry.